Socialable - Do You Subtitle? So... do you subtitle? 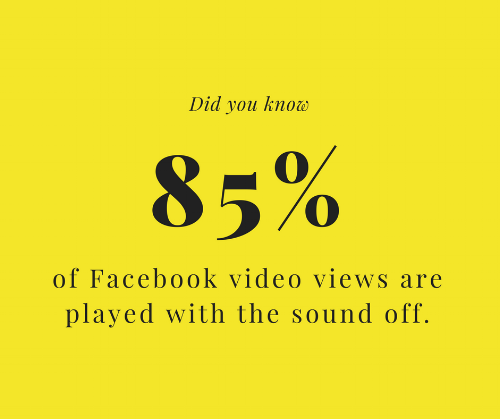 You might think it's a strange question but over 85% of Facebook video views are played with the sound off. That's a lot people who just aren't going to hear your message if you're relying on the sound of your words to convey your ideas and meaning. Are there people that you like to follow on social media? Next time you are watching one of their vidoes take a look - have they included subtitles? It might not be a word-for-word transcription but it's likely some of the keywords and messages will be included somewhere on the screen as text. Adding subtitles may take a little more time, but if it means you reach the 85% of your audience who are watching with the sound off it's going to be worth it.